A picturesque view of the San Francisco Bay was suddenly interrupted by a giant bird on Friday. 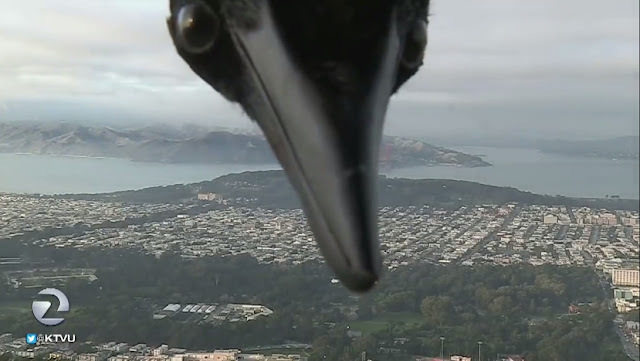 KTVU's Mark Tamayo was delivering the weather forecast in front of a live shot of the city when out of nowhere a bird's beak appeared. 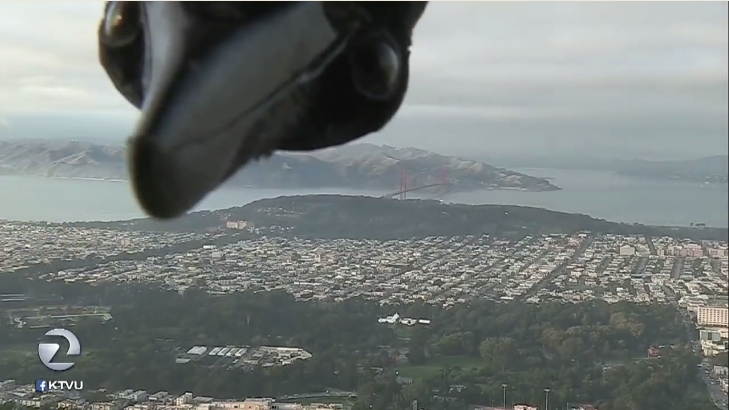 He then peered all the way down from above and looked directly into the camera. Fearing for his life, Tamayo backed away from the green screen, and the bird — seemingly bored with the weather forecast — left the shot shortly after. "The camera itself told a great story - to talk about the fog in the Friday forecast. All of a sudden I see a head looking down like a curious character looking to see what's up. I just didn't know what to say," said Mark. Mark said a few months back a bird flew into his shot which left him a little rattled so he knew this was his chance to maintain his composure. Mark calmly stepped off to the side to see what would play out. "The bird didn't seem shy at all - you almost felt like you were getting to know him from a few seconds," he said. Mark was thinking he would need more time for the segment and even said that - that's when his producer Chris Clough let him know that would be no problem. "We were all so shocked in the control room, everyone thought the bird would hang around, I was like 'take as much time as you need,'" said Chris. "The bird was so poised - and the backdrop was dramatic. I decided to step out of the shot so the bird could get the attention it deserved. It just seemed to be confident sitting there... it was just the perfect combination of elements with the location, backdrop, and timing and the bird was just calm, cool and collected." Mark says now whenever he takes that camera in his forecast, he'll be keeping an eye out for his new friend. 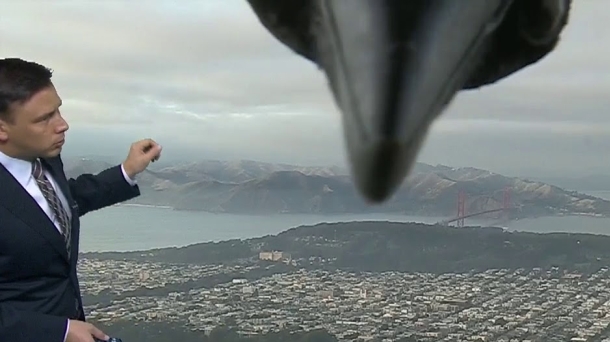 Responses to "Giant Raven photobombs weather man during live TV broadcast"